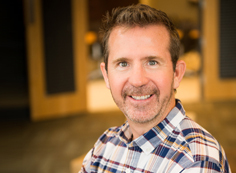 Don Endres serves as co-founder and CEO of Novita, LLC and serves as the Managing Director of Glacial Lakes Capital, LLC, an investment firm he co-founded in May 2001. Mr. Endres draws on more than 25 years of experience in building, operating and managing successful businesses. In 1985, he founded Special Teams, Inc. During his tenure as President and General Manager, Special Teams was recognized by Inc. Magazine as one of the fastest growing privately held companies in the U.S. in both 1994 and 1995. After Special Teams was sold to American Express in 1995, Mr. Endres assumed the role of President of American Express Special Teams. 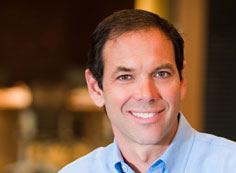 In 1998, Mr. Endres co-founded and served as CEO of ExpressGold.com, Inc., an Internet payment company, and successfully spearheaded its merger with CyberSource Corporation (NASDAQ:CYBS) in January of 2000. In 1999, Mr. Endres became a principal investor and Board member of CoEv, Inc., a manufacturer of electronic equipment. CoEv, which turned profitable within its first year of operations, later merged with Tyco International Ltd in August of 2000. In 2000, Mr. Endres was named “Entrepreneur of the Year” by South Dakota State University’s College of Engineering and in 2005 was awarded the Ernst & Young Entrepreneur Award for “Emerging Entrepreneur.” Mr. Endres holds a bachelor of science degree in animal science, with minors in computer science and economics, from South Dakota State University. Mr. Endres has a long history of making valuable contributions to the alternative energy industry at large, and continues to actively participate in the growth of this sector. He served on the Board of Directors and Executive Committees of the Renewable Fuels Association (RFA), Alternative Fuel Institute (AFI), and the Enterprise Institute at South Dakota State University. 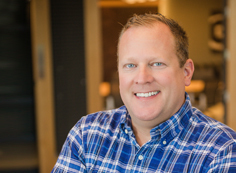 In 2001 Mr. Endres co-founded and served as Vice-Chairman of Glacial Lakes Energy, an ethanol production facility in Watertown, South Dakota; and was an investor and Board Officer for Badger State Ethanol LLC in Monroe, Wisconsin. In 2001 he also co-founded VeraSun Energy Corporation and served as its Chief Executive Officer. VeraSun grew to be a leading producer of renewable fuel building the nation’s first 100 million gallon per year dry mill ethanol facility in Aurora, SD. VeraSun built 4 other large scale ethanol production facilities throughout the mid-west and raised capital in a successful public offering in June of 2006. In May of 2010, Mr. Endres was named to the South Dakota REACH (Research Excellence: A Critical Hallmark) committee. The REACH committee was formed as a liaison between South Dakota institutions of Higher Education, South Dakota’s EPSCOR, federal agencies, private science and/or engineering research organizations, state government and commercial interests. Keith Bruinsma brings over 10 years of renewable energy finance and project development management experience to the Novita Team. Prior to joining Novita, Mr. Bruinsma was a Co-Founder and Vice-President of Corporate Development at VeraSun Energy Corporation, a leading ethanol producer. Prior to VeraSun Energy, Mr. Bruinsma held various positions at American Express Special Teams and CyberSource. Mr. Bruinsma worked on developing the process to extract oil from Distillers Dried Grains and the resultant feed products and was issued a patent from the US Patent & Trademark office in 2012. Mr. Bruinsma has served as a member on the National Biodiesel Board, representing ethanol facilities. Mr. Bruinsma holds a Bachelor’s degree in Business Administration from Dakota State University, an Education Degree from South Dakota State University and a Masters of Business Administration degree from Colorado Technical University. Rick Eggebrecht is a seasoned senior manager with over 12 years of renewable energy experience in the areas of green field project development, market expansion, community relations, and business unit management experience. Prior to joining Glacial Lakes Capital, and Novita, LLC, Mr. Eggebrecht co-founded VeraSun Energy Corporation in 2001. He led the site selection and development of ethanol production facility sites, including procurement of property, permitting, project management, and agreement negotiations for all aspects of construction, site development, and transportation. He spearheaded strategic initiatives relating to market access and new markets for ethanol which included negotiations with American automakers, major refiners, petroleum marketers, terminals, pipelines, railroads, and customers. In addition Mr. Eggebrecht led the successful development and launch of VE85®, the nation’s first branded E85 fuel, making it available to more than 170 stations throughout the Midwest and Washington D.C. Mr. Eggebrecht led the development and implementation of VeraSun’s unit train business strategy, including the upgrading of plant infrastructure and development of new unit train receiving facilities. 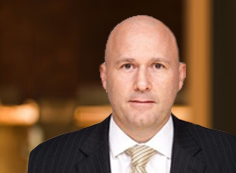 Prior to VeraSun, Mr. Eggebrecht served as Director of Marketing for Cybersource Stored Value Services, and Regional Vice President for American Express – Special Teams. 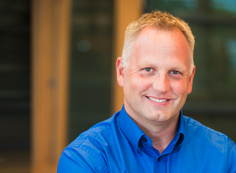 Mr. Eggebrecht holds a Bachelor of Science Business Administration from Southwest Minnesota State University. Rick lives in Brookings, SD with his wife and family, and is actively involved in his church and community. 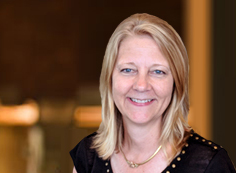 Laura Johnson has over 25 years of experience in financial reporting and business systems in industry and retail. 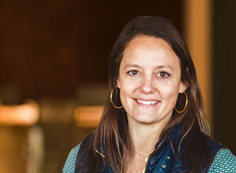 Prior to joining Novita Nutrition, she served as the CFO for a Montgomery’s, a family owned Midwest regional retail furniture business, and during that time, doubled in revenue and centralized operations over multiple locations in less than 5 years. Prior to Montgomery’s, Laura was the Controller with VeraSun Energy Corporation, a leading ethanol producer, where she started with the flagship plant in Aurora, SD in 2004 and led the accounting department and related financial reporting through through the completion an IPO. Prior to VeraSun, she was the Director of Materials Management for Rosco Manufacturing, a road maintenance manufacturer, now a Leeboy company located in Charlotte, NC. Over 10 years time, she held multiple positions in senior management with responsibilities in purchasing, enterprise information systems and accounting until the Company was sold in 2001. Laura has a B.S. in Accounting from the University of South Dakota and holds a CPA certificate since 2007 and actively involved in numerous community groups. 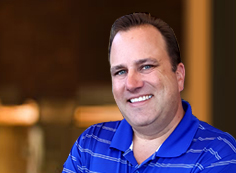 Bill brings decades of experience to Novita and serves in the merchandising role responsible for raw material procurement, logistics, and requisite risk management. Bill brings decades of experience to Novita and serves in the merchandising role responsible for raw material procurement, logistics, and requisite risk management. Since graduating from the University of Illinois with a degree in Agricultural Economics over 20 years ago he has served the agricultural industry in various capacities. For the last ten years, he has been managing group marketing and merchandising dried distillers grains in the western United States with Scoular and Commodity Specialists Company. This experience gave him an excellent background in distillers grains valuation, as well as logistics, risk management, accounting and general business management. After having watched the ethanol industry mature, he is excited to see the distillers grains be processed into a more valuable feedstock, NovaMeal. Prior to distillers grains trading, Mr. Ton managed a feed ingredient business in southeast Louisiana. Among other ingredients merchandised, he managed the processing of grain dust into feed pellets to be fed nationally to beef cattle. Mr. Ton also served on the National Grain and Feed Association Rules Committee from 2011 to 2016. Jill brings nearly 20 years of experience in brand management, marketing, advertising, strategic promotions, graphic design, public relations and event management in various business sectors. Prior to joining Novita Nutrition, she held a position as International Marketing at Daktronics, a world leader in large-format LED video displays, where she worked with the international sales team to respond to opportunities with the best marketing approach. She also helped promote the international business unit through various media channels, advertising campaigns, public relations efforts and promotions of new high profile installations. Ms. Kosbau served as Director of Marketing at the Children’s Museum of South Dakota, where she built the brand from the ground floor and was part of the leadership team that launched the museum into a high traffic destination in the region that resulted in media mentions in national publications. Prior to that, Ms. Kosbau was the Corporate Brand Manager of VeraSun Energy Corporation, a leading ethanol producer, and managed all corporate brands throughout 18 locations, designed and managed a multi-sensory event that resulted in 300 million media impressions, worked with tier one media outlets, cross-promoted with industry partners and designed custom collateral for targeted audiences and events. Jill has won a Gold Addy from South Dakota Advertising Association and a Bronze for Color Advertising from the Art Directors Club of Denver. She has also held various board positions. Mr. Zenuk joined NGP Global Agribusiness Partners in 2010 and serves as Managing Director. He leads the firm’s efforts in the agribusiness sector, leveraging his global reputation and 20-year industry expertise in acquiring and operating large scale assets in the storage, processing, packaging, transportation and merchandising of agricultural commodities. Prior to joining NGP in 2010, Mr. Zenuk served in many roles with Archer Daniels Midland Company (NYSE: ADM), most recently serving as President of the Oilseeds Business Unit, the largest Global Business Unit at ADM, comprising over $24 billion in sales and operating profit of $1.3 billion. The business unit operated 116 inland terminals, and 112 oilseed, crushing, refining, packaging, and industrial facilities. In 2005, he was elected as a Corporate Vice President of ADM.
From 2000 to 2007, Mr. Zenuk served ADM as Managing Director for Europe and Asia, Senior VP North American and European Oils, Fats, and Biodiesel, VP North American Oils and Fats, and VP Moormans/ADM Animal Health and Nutrition. Prior to joining ADM, he served as General Manager Commodity Marketing Group for the Saskatchewan Wheat Pool and Marketing Manager for the Canadian Wheat Board. Mr. Zenuk received a B.S. in Agricultural Economics in 1990 from the University of Saskatchewan. 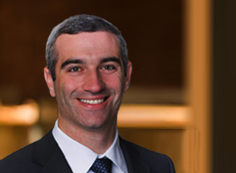 Mr. Dunn joined NGP Global Agribusiness Partners in 2012 and serves as Principal. He concentrates on NGP’s efforts in sourcing investments, transaction analysis, and execution as well as the monitoring of active portfolios. Prior to joining NGP, Mr. Dunn was an Associate at NGP Midstream & Resources. Mr. Dunn was also an investment banking Analyst with UBS Investment Bank’s Global Energy Group in Houston, where he focused on financing and merger and acquisition transactions in the oil and gas industry. Mr. Dunn received a B.B.A. and an M.P.A. in Accounting in 2007 from The University of Texas at Austin and an M.B.A. in 2012 from Harvard Business School. 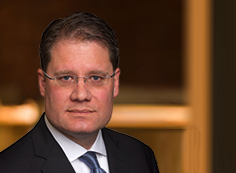 Steven J. Furcich is Partner of Tillridge, where he brings more than 35 years of experience operating across the midstream and downstream agribusiness sectors. Prior to Tillridge, Steve led a 28 year career at Archer Daniels Midland Company (NYSE:ADM), where he spent the first 20 years of his career in various food, feed, and industrial manufacturing roles encompassing a wide variety of raw materials and geographies. Among other domestic and international executive leadership roles within ADM, Steve eventually served as the Vice President and Director of Group Operations where he was responsible for all global manufacturing operations for the Oilseeds, Cocoa, Nutraceutical, and Animal Nutrition Divisions, encompassing the most diversified asset base within ADM. Steve subsequently served as President of ADM’s Nutrition and Malting divisions. Following ADM, Steve operated an agribusiness-focused consulting firm through which he provided due diligence and technical services. Steve received a B.S. in Agricultural Engineering from the University of Illinois at Champaign-Urbana. Kevin Brassington is President of Alternative Agriculture Group International, a consulting firm that focuses on management and development. With over 22 years invested, he has expertise in the areas of people management and development, trading and risk management, asset management, business development, portfolio analysis, supply chain and logistics optimization, and customer development. Kevin spent almost two decades with Archer Daniels Midland Company (NYSE:ADM) in the Oilseed division where he was president of Oilseeds Europe. He was also with Cofco International, which has assets and offices worldwide, for two years as Global Head of Oilseeds and Grain. Throughout his career, Kevin has been involved with Vegetable oils/Biodiesel, Soft seed/Soybean Crush, Grain Elevators and Terminals, and has focused on risk and people management around each of those business. He received a Bachelor of Commerce from the University of Saskatchewan and completed The University of Chicago Finance for Executives as well as the Harvard Business School Executive Development Program. 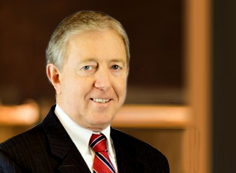 William (Bill) Camp is an advisor to Tillridge and its portfolio companies as a member of the Firm’s Strategic Council. 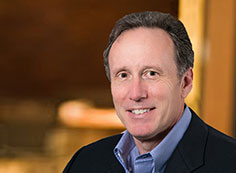 Bill draws on nearly 40 years of global agribusiness experience and spent much of his career at Archers Daniels Midland (NYSE:ADM) in various executive leadership roles both domestically and internationally. Bill’s roles at ADM included Executive Vice President of Global Manufacturing and Asian Strategy, Group Vice President overseeing Oilseeds, Cocoa and Milling, President of South American Operations, and President of Corporate Transportation. He also served on ADM’s Strategic Planning Committee and served on the Boards of Directors for a number of ADM affiliates. Prior to ADM, he worked with A.E. Staley Manufacturing, focused on oilseed processing. In addition to his work with Tillridge, Bill currently serves as a Director on several public and private Boards in the agribusiness space. Bill received a B.S. in Business Administration from the University of Illinois. Mr. Honnef is President of HatchGrove Consulting, a consulting firm focused on assisting early-stage companies in the renewable energy sector. Mr. Honnef cofounded VeraSun Energy in 2001. VeraSun grew to become one of the largest ethanol producers in the U.S. before going public in 2006. Prior to his affiliation with VeraSun, Mr. Honnef was president and cofounder of ExpressGold.com Inc., an internet gift certificate company. CyberSource purchased ExpressGold in a stock deal valued at more than $70 million in 2000. Prior to cofounding ExpressGold, Mr. Honnef served as sales director for Special Teams. During his tenure, Special Teams was recognized by Inc. Magazine as one of the top 500 fastest-growing privately held companies in the United States. Special Teams was sold to the American Express Company in 1995. Mr. Honnef graduated from Indiana University of Pennsylvania with a bachelors degree in Information Systems. He was recognized by IUP in 2000 as the Eberly School of Business and Information Technology Entrepreneur of the Year. Bill is married and currently lives in Camarillo, California.